Think of the sorts of people we only notice when things go wrong: the waste collectors after two weeks of rubbish piling up, the sound team when a church service goes wrong, the handyman uncle when a car disaster hits. Do we notice them at any other time? It might just take a thank you, or a gift card. This is an easy and really noticeable way to make a difference to someone. Green: Drop a small card to a hidden hero, just to let them know they’re noticed. Amber: Show up with a cup of coffee or a fizzy drink as they work. Red: Figure out a creative fix that would make their job easier. What small solution would help them out? What’s the worst thing that could happen to the person who delivers your post? Trapping their fingers in your letterbox? Having their ankles nipped by a dog? Did you know that five British Postal Workers died whilst running the Post Office on the Titanic? In all weathers, our posties continue to deliver our mail without complaint and often when advised not to go out due to risk of life. They walk, drive or cycle their allotted route to ensure that letters and parcels get delivered. It’s not until the mail stops coming that we notice postmen and women at all. In 1971 a general postal strike lasting two months brought the country to its knees. A few years ago, here in Scotland, there was a postal strike just before Christmas. This was when the country sat up and took notice – what would happen on Christmas morning when the kids didn’t have their presents? However, the next part of this story is why I think those who deliver our mail are hidden heroes. When the strike was over the postmen and women delivered the backlog of parcels, mainly in their own time. They wanted to make sure no child would be disappointed at Christmas. As we go through Lent, spare a thought for those who are out, day after day, ensuring that letters and parcels from loved ones arrive safely. Instead of complaining that mail is late and berating those who deliver it, build them up by praying for them. Spare a thought for them when they deliver in the direst of weather whilst we who wait are tucked up warmly inside. They truly are hidden heroes. 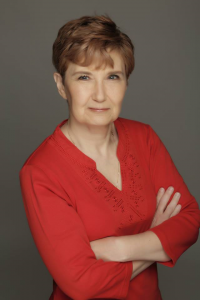 Wendy H. Jones is an award-winning author of Scottish crime fiction, young adult mysteries and the Bertie the Buffalo children’s picture book. She is also the president of the Scottish Association of Writers, the webmaster for the Association of Christian Writers and the secretary of the Society of Authors in Scotland.